Founded in 1940 by George and Grace Hoag and their son, George Grant Hoag II, the George Hoag Family Foundation is committed to making a positive difference in the communities it serves by improving social conditions, promoting human welfare and alleviating pain and suffering. Over 75 years later, the family continues its long tradition of philanthropy and strives to be responsive to the changing community needs. George and Grace Hoag started out modestly in 1896, spending their first year of marriage running the Golden Rule General Store together in Wyoming. Their old-fashioned brand of hard work soon paid off. As the store became part of the thriving J.C. Penney chain, Mr. Hoag began opening stores across Utah and later became Vice President of J.C. Penney in New York. Mr. and Mrs. Hoag grew quite wealthy from their J.C. Penney stock; then, they set about giving much of it back to people by donating millions to scores of charities over the years. In 1940, the Hoags established the Hoag Family Foundation with their son, George Hoag II. Later that decade, the foundation became one of the founding benefactors of Hoag Hospital in Newport Beach, California. This marked one of the rare occasions that the family didn't make their grant anonymously. The reason for that was because Mrs. Hoag wanted to build a memorial to her husband after he passed away in 1948. The new hospital, overlooking the city he loved and resided in during his later years, seemed a perfect fit. As head of the Hoag Family Foundation, Mrs. Hoag ultimately decided to make the grant needed to get the hospital project off the ground. In addition, she also funded the construction and furnishing of nurses' quarters on the Hoag campus so that the staff could have an affordable place to live. Mrs. Hoag was a very active board member at the hospital, along with her son, George Hoag II. They both took an active interest in what was happening in the community and the hospital. 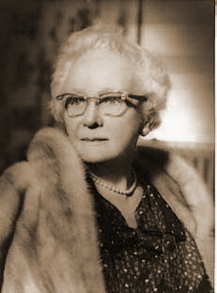 Mrs. Hoag played a vital role at the hospital until she died in 1970 at the age of 100. 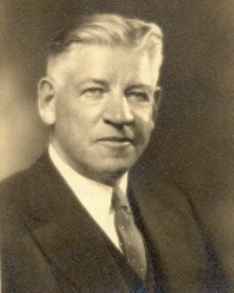 George Hoag II, along with his parents Mr. and Mrs. Hoag, was also a founder of the Hoag Family Foundation in 1940. 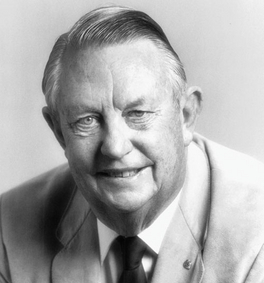 Mr. Hoag played an active role on the boards of both the Hoag Family Foundation and Hoag Hospital until his death in 1995. If there’s one man responsible for the spirit and compassion at Hoag Hospital, it is George Hoag II. Mr. Hoag, a community leader, dedicated his life to philanthropy and was actively engaged on the Boards of the Boy Scouts of America and the City of Hope. Mr. Hoag, a longtime Chairman of the Hoag Hospital Board, was at the hospital several days a week practicing what came to be called “Hoag Pride.” To affirm the legacy of Mr. Hoag II, one need look no further than the example he set in his more than 40 years at Hoag Hospital. Mr. Hoag was a major advocate for Hoag employees and was dedicated to honoring the memory of his own father. “He was so proud of that hospital and the fact that he had done something to make a memorial for his father,” said Mr. George Hoag III. Today, the Hoag Family Foundation continues its legacy through the leadership of the foundation’s third generation, improving social conditions, promoting human welfare, and alleviating pain and suffering.